Here we have our rustic oak Ledged plank doors. They are made from solid oak .These doors are ready to wax varnish or paint .They have shakes knots and splits giving them the character for the olde world enviroment .We can also supply using prime grade oak for the more contemporary setting. We can supply bracing packs for these doors ,please contact us to dicuss your requirements. 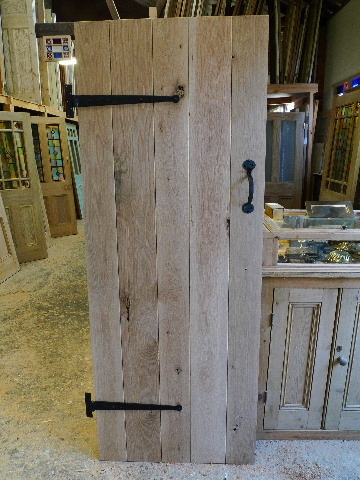 The hand forged penny hinges and suffolk latch are available sepperately and are shown for display purposes only. Made to measure available please call to discuss your requirements .